Feb 27th - Mar 4th: Over three months have gone by since training began for the 2012 season. I have put in countless hour in the pool, on the bike, and in my running shoes and I'm looking forward to the start of race season next weekend at the Desert Classic Duathlon. Last year the Desert Classic Duathlon was the start of a series of disasters for me including bike crashes, flats, and a slew of other problems - hopefully I can avoid any earlier season disasters and put together a solid spring race season. Although I am racing the Desert Classic Duathlon I am continuing to train through the race and will train through the Tucson Triathlon as well before finally taking some rest heading into the Leadman 125 in Las Vegas. As I reflect on the last three months there are two things that really stick out. One is my commitment to the pool. 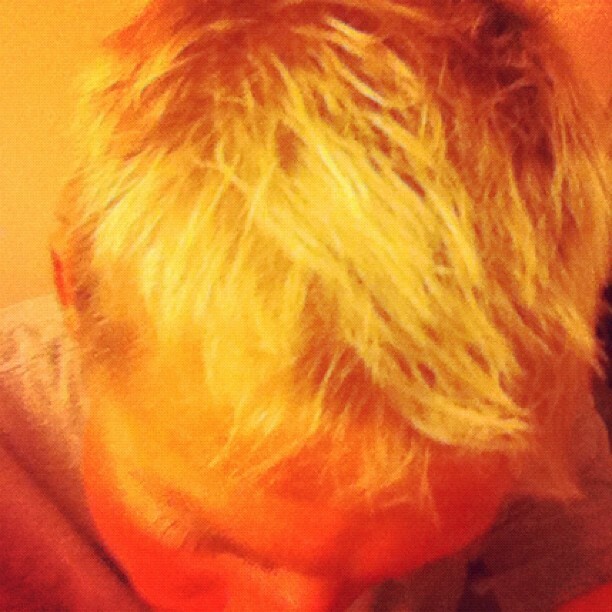 My hair for all practical purposes is blond and is an everyday reminder of all the yards I have put in. I have not missed a swim session since January 27. The second thing that has impressed me is my commitment to sticking with core as the weeks of training get longer and harder. Core is often the thing that gets bounced out as time comes at a premium, but this year I am sticking with it. I am not going to lie, some sessions have been a struggle, but nonetheless I have got it done. As for this week, well it stands in stark contrast to last week. Almost every workout this week was fast with three track workouts including, 2x3 mile tempo in 17:54 and 17:42, a 10K team trial with Ben Kanute in 28:57 where all my 400s were between (1:07-1:13), and post 2x20 bike brick run in 19:15 for the 3 mile. The last run was a reminder to why you can't spend all your energy on the bike in a race. On the bike I had two days of intense mountain biking that included 2x45 min hard, and then another day with 1x45min all-out. In addition I did 2x20 repeats twice on the road at 90-95% effort. I did tri bike repeats done on Tuesday at 289 watts and 304 watts. My road bike repeats were done on Sunday with watts of 314 and 320. I'm a little bit behind where I want to be on my bike but the mountain biking has really helped with my bike handling so I hope that adds some free speed and makes up for the lack of power at this stage in the game.